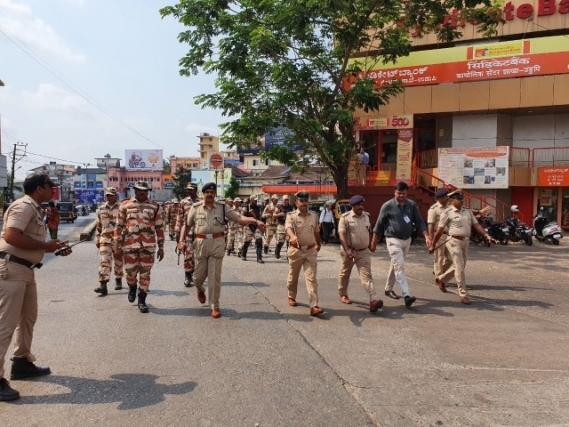 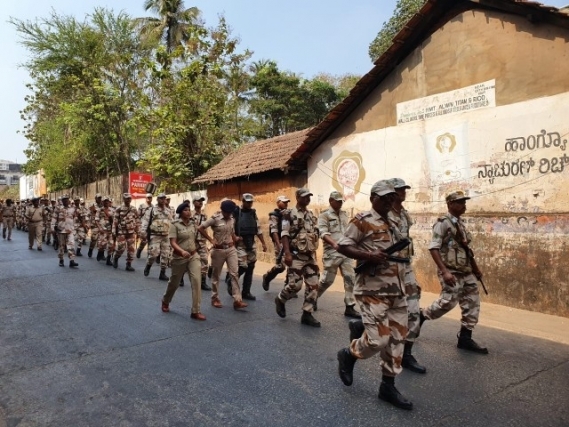 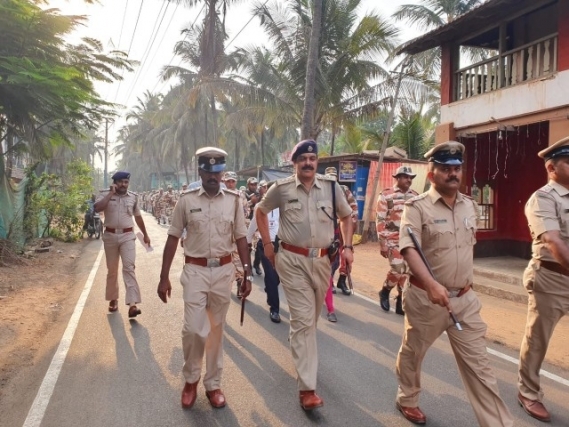 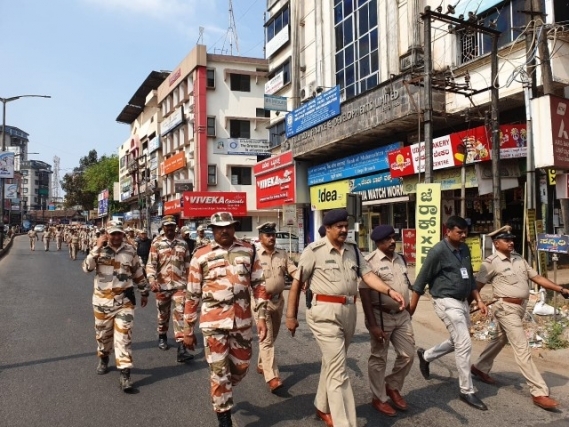 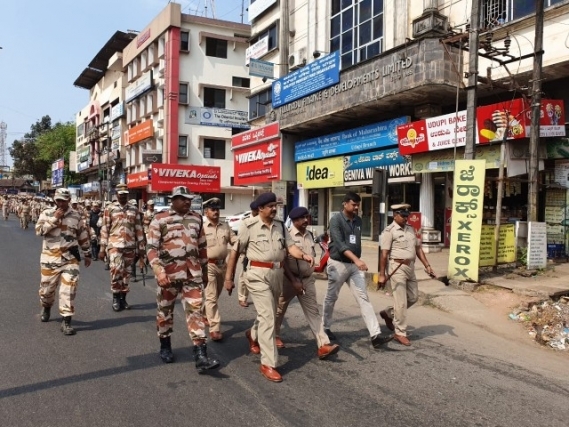 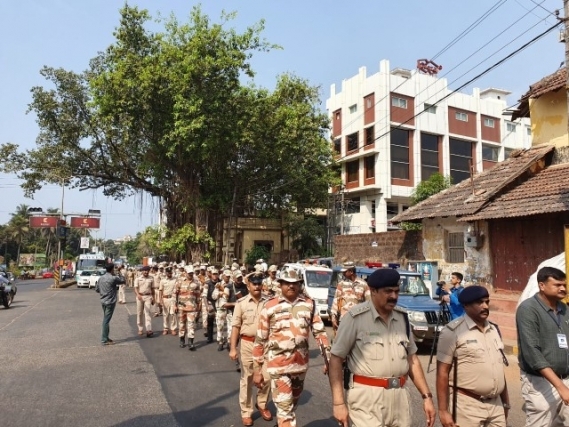 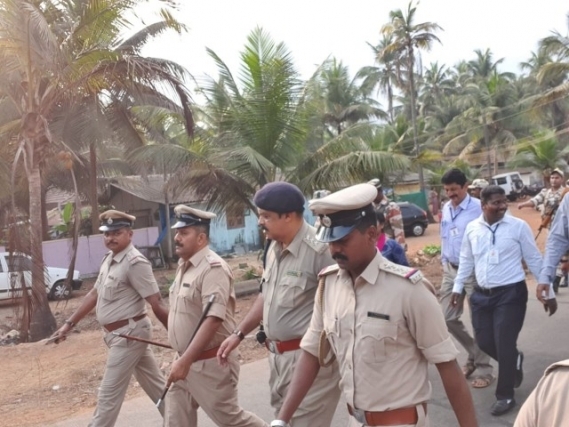 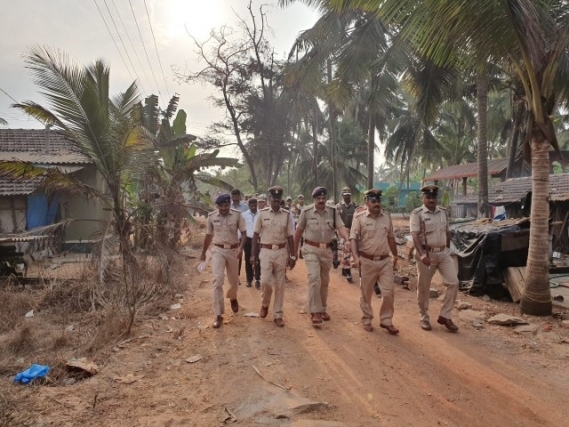 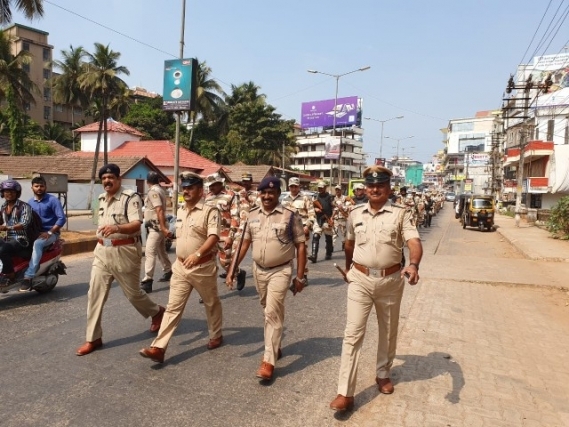 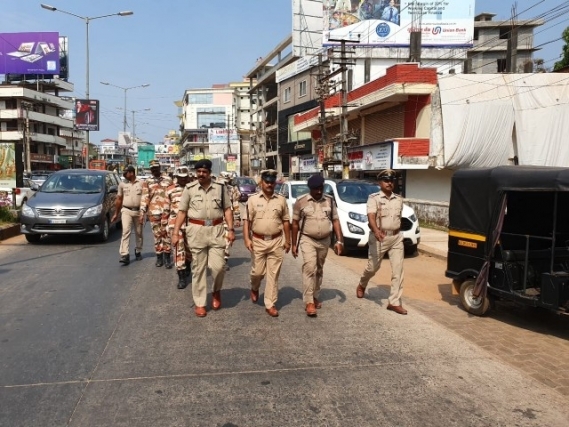 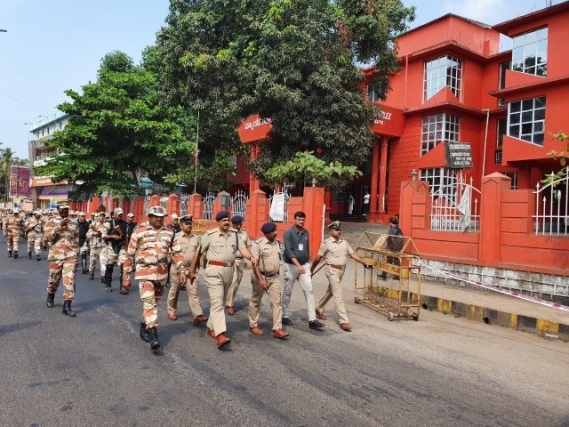 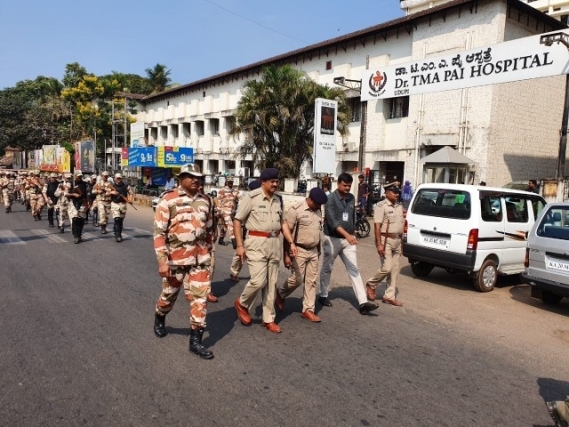 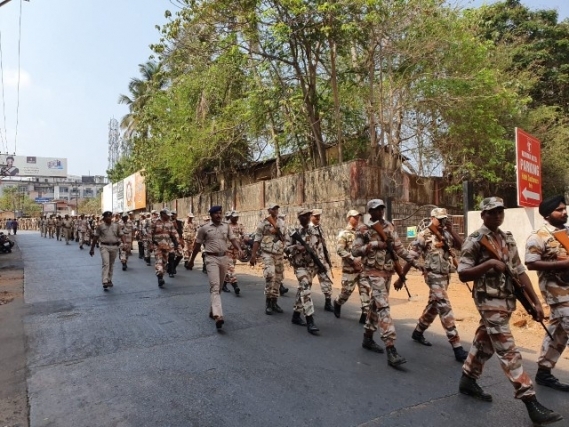 Udupi : In order to conduct free and fair Lok Sabha polls on Thursday 18, to assure and ensure confidence for the citizens, district police along with Indo-Tibetan Border Police (ITBP) took out a route march in Udupi district. 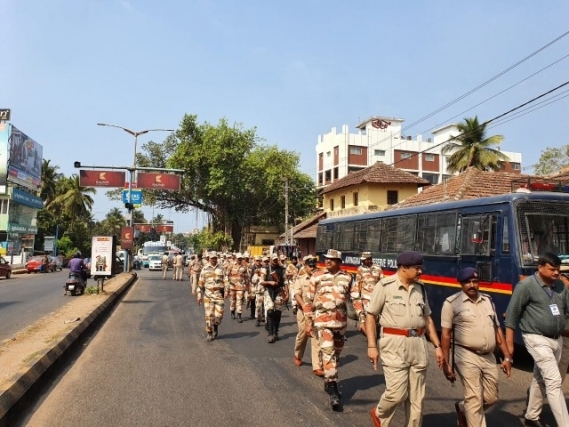 The route march began from Jodukatte and passed through Big Bazar, Old taluk office, Diana Circle, K M Marg, Service bus stand, Kidiyoor Hotel, City Bus Stand, Kalsanka, Kadiyali and culminated at the MGM College, Indrali. 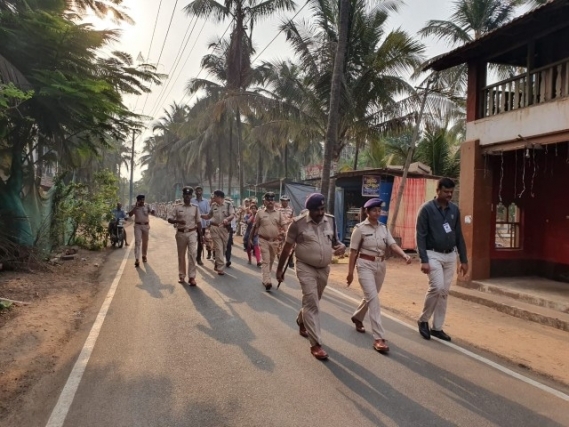 The route march also to be held at various places in the district like Karkala Town, Hebri, Padubidri, Bajegoli and other places. 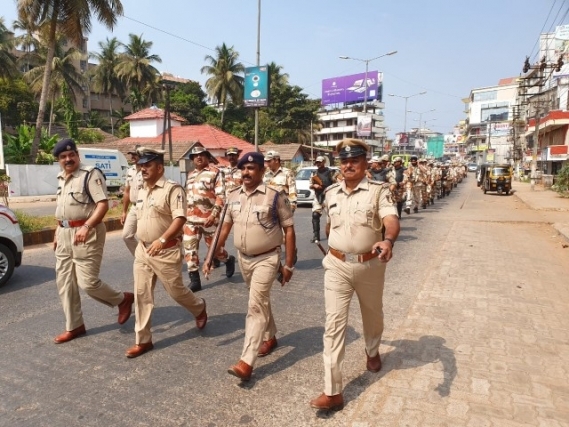 Along with KSRP, DAR, Indo-Tibetan Border Police and Udupi Police took part in route march. 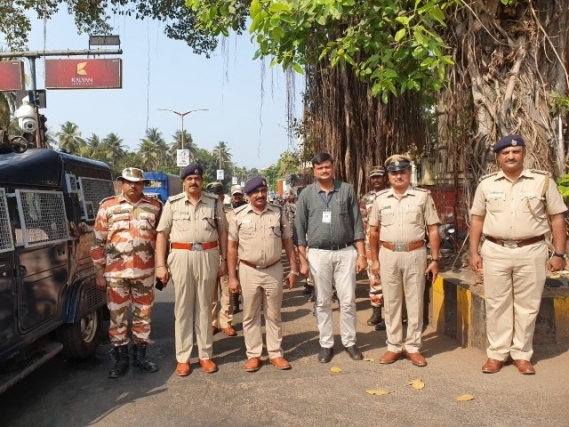 Nisha James IPS Superintendent of Police of Udupi district, Kumarachandra Additional Superintendent of Police, Jai Shankar DySP Udupi, Manjunath CPI, Udupi, Sampath Kumar PSI Women Station and other police personnel were present.